Viktor ‘Isildur1’ Blom, ‘Lena900‘ and ‘Dhr. Awesome‘ were all amongst the 15 title winners on Day 12. The highlight tournament of the day was Event #40-High ($5,200 Eight Max High Roller No Limit Hold’em) as 260 entrants came together to create a juicy $1.3M prize pool. The final four was set after Conor ‘blanconegro’ Drinan, Ben ‘Ben86’ Tollerene, ‘iambest2‘ and ‘EvnomiYa‘ had all departed from the final table. The first player to bank a six-figure score was ‘Crazy Elior‘ who exited in fourth-place for $104,358, followed by ‘OverTheTop43‘ who collected $139,288 in third, which left Jonathan ‘Proudflop’ Proudfoot and ‘Dhr. Awesome‘ left to do battle. After the players had agreed on a money-deal they fought for the title and remaining prize pool with ‘Dhr. Awesome‘ prevailing for the $224,753 victory. It was a second 2018 SCOOP series silver medal for Proudfoot, who took away the considerable runners-up prize of $209,296 to smash his previous best recorded online cash of $47,771. Event #40-Medium ($530 Eight Max High Roller No Limit Hold’em) saw Pedro ‘PaDiLhA SP’ Padilha defeat Canada’s ‘JGagMan‘ heads-up to win $132,274. It was a second career SCOOP title for the Brazilian after he won his first back in 2012. ‘JGagMan‘ took away $94,288 for their second-place finish as Phil ‘PhilRoyal888’ Mighall made up the top-three for $67,212. In the #40 ‘Low’, Renan ‘r_dkGyn’ Taveira came through a 9,337 player field and turned $55 into $55,880 after a three-way deal. Tóth ‘MartinPro66’ Martin succumbed to Taveria heads-up for $46,104 after a deal had been made with eventual third-place finisher ‘xxdzsa‘, who accepted $41,840. ‘Lena900‘ added another $50,391 to the ‘Team Sweden‘ series prop bet total after they claimed victory in Event #39-High ($1,050 Six Max NLO8). The current PocketFives no. #5 has been in a well voiced six-figure prop bet against Patrick Leonard and ‘Bencb789’ since the start of SCOOP, and was able to help his teammate ‘C.Darwin2’ by extending their lead. Bernardo ‘bedias’ Dias took second-place for $37,351, with ‘recusant_89‘ in third for $27,686. ‘thomber26’ was the Event #39-Medium champion for $19,548 after they eliminated ‘russiadgl’ into second-place for $13,620. There was also second final table appearances of the day for ‘High’ runner-up Bernardo ‘bedias’ Dias, who this time took the bronze medal for $9,490, and Phil ‘PhilRoyal888’ Mighall, who added another $6,612 to his bankroll in fourth. The ‘Low’ ($11 Six Max NLO8) title went to ‘barry_dread’ who negotiated a 4,889 player field to win $6,821. ‘aDrENalin710’ was the player to fall during heads-up for $4,750, with ‘dyadka’ the third-place finisher for $3,310. Victor ‘Isildur1’ Blom, ‘D PitcherAK‘ and ‘villepn‘ were named the three Event #41 HORSE champions. 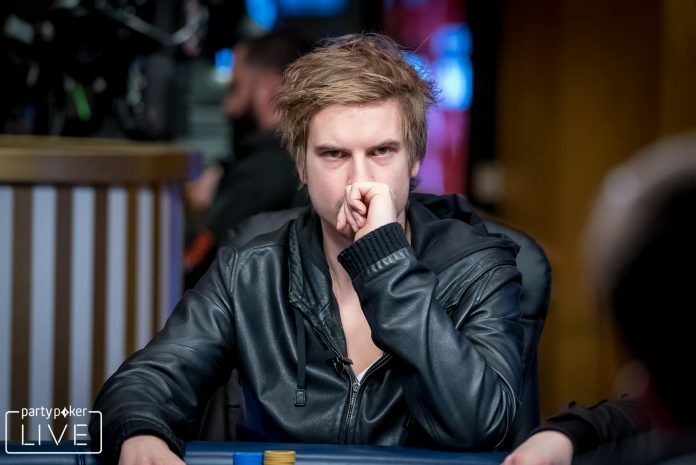 Blom’s title came in the ‘High’ for $59,780 after the Swede had eliminated ‘MUSTAFABET’ into second-place for $41,480. ‘D PitcherAK‘ banked $18,848 for beating the UK’s Ross ‘thelukystump’ Atkinson heads-up in the ‘Medium’, with the Brit taking away $13,888. And in the ‘Low’, ‘villepn‘ took the SCOOP title alongside $8,083 after they saw off ‘Senkel92‘ in the final battle, who won $5,704. Event #42 saw three NLHE Heads-Up Shootout tournaments take place with ‘LuxPoker17’ and Aaron ‘aaronmermel’ Mermelstein agreeing to a deal in the $2,100 ‘High’. There was a prize pool worth $256,000 after 128 entrants stumped up the buy-in and when play reached its final two they agreed to a money-deal before battling for the SCOOP accolade. ‘LuxPoker17’ was the one to go the distance for $64,000.01, with runner-up Mermelstein banking $58,879 for their share of the deal. ‘Epistokrat’ beat ‘ProBelgian‘ in the $215 ‘Medium’ final match, earning $18,567, with the runner-up collecting $11,814 and Romania’s ‘jimmyrestant’ took down the $22 ‘Low’ for $5,170.47 as ‘pelmeenid’ fell at the final hurdle for $3,288. The final tournaments that came to a close on Day 12, were in Event #43 NLHE. ‘great dant‘, ‘DMcZZa‘, ‘Lena900‘, ‘rybunia‘ and ‘girafganger7‘ all made the $1,050 buy-in ‘High’ final table before ‘roo_400‘ defeated ‘oriente1‘ heads-up for the win. The victor took away $62,269 with the runner-up awarded $47,165. ‘SwatFBA’ took down the $109 ‘Medium’ for $25,721, with ‘DOCTORB911’ taking second for $18,334, and ‘regevgerev‘ became the $11 ‘Low’ champion for $8,876.95 after they beat ‘MarceleBrito‘ heads-up.